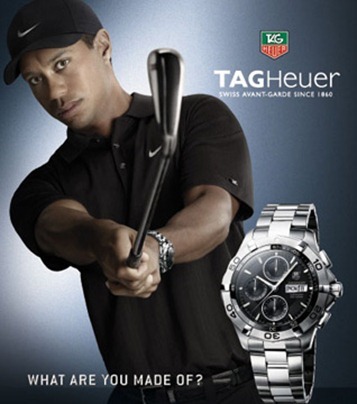 From the day of his car accident followed by the shocking disclosure of his alleged relationship with Rachel Uchitel, it is now observed that Tiger Woods is slowly disappearing from his famous commercials. It is felt that the sponsors are slowly drifting away from the best golf player in the world today. Many of his ads that used to run in prime time have almost vanished from the screens of televisions in United States. Last time that he was seen on television was in a 30 Seconds Gillette Ad on November 29, two days after the scandal broke out. His deals were with brands like Pepsi Cola, Nike, Tag Heuer, Accenture, Electronic Arts Inc and Gillette from where he was earning almost $100 Million a year. Most of these companies now have started to detach him from their brands due to his involvement in affairs with several girls. The reason is simple; he no more remains an icon of inspiration and an influential figure both on and off the golf course. These scandals will cost him a fortune in terms of money from Ads deals. His image has been considerably tarnished and he has been cut to almost zero from a hero, in the past two weeks. Let’s see how Woods’ survive this test of the time.